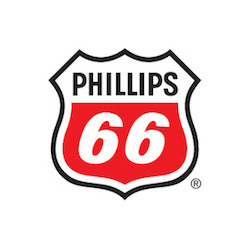 The nearly 14,000 employees of Phillips 66 demonstrate the company values of safety, honor, and commitment in the communities where we live and work. The company supports initiatives focused on education, health and safety, and the environment. We invest in education because an educated workforce drives the world's economic future. We support fundamental literacy education and skills critical to advancing energy solutions, such as improving skills and interest in math, science and engineering disciplines. Phillips 66 supports K-12 educational programs, specifically those that promote literacy and an understanding of business and energy. Our higher-education contribution strategies focus on fostering relationships at the colleges and universities where we recruit in the critical skill areas of engineering and business. We invest in the preservation of our natural resources because we respect and appreciate their influence in our daily lives. We support initiatives that provide sustainable answers and protect, beautify and promote our natural environment for the benefit of our children and our communities. We support environmental conservation programs that preserve and enhance wildlife habitat and promote environmental education. The most important core value of Phillips 66 is the safety of our employees and neighbors. That commitment is reflected in our support for organizations that promote health and safety. We invest in community safety and preparedness programs because we are committed to protecting our neighbors from the effects of natural disasters and believe that preparation and emergency management systems are crucial to our safety and security.